To commemorate 25 years of its inception St. 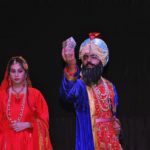 Soldier organized a splendor of light and sound extravaganza ‘Sher-E-Punjab Maharaja Ranjit Singh’ under the astute guidance and direction of Dr. Sahib Singh, Co-director Ms. Rozy Singh and Assistant Director Ms HarpreetKaur. The occasion was graced by Mr. Charanjit Singh Channi- Minister of Technical Educational and Industrial Training . 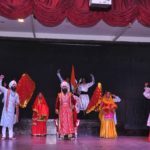 The event showcased a few excerpts from the life of ‘Lion of Five Rivers’ presented by the budding artists from Classes VII – IX and XI . 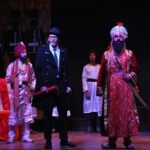 Anurag Raina in the main role of Ranjit Singh was highly applauded by the audience for putting life in the characterization of this historical figure known for his bravery and kindness . The radiance of his character was deftly displayed through the dramatization of incidents from this great warrior’s life which included the war fought by Maharaja and his soldiers to release Shah Shuja and in return receiving the coveted Koh-i-noor by the Begum , the trait of his being secular and respecting all the religions etc. 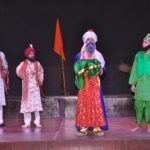 Bipandeep Singh as Chadak Singh –the grand father of Maharaja Ranjit Singh-Ramandeep Singh and Surveen Kaur as ‘Shah Shuja’ and Begum, ‘Lord Lat’ and ‘Lord Metkoff’ played by Aryan Uppal and Amandeep Singh gave a splendid performance that regaled the audience . The School Choir with their soulful rendition lent a colour of vivacity to the act. 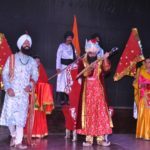 The Chief guest in his address applauded the endeavor of the school for providing such a superb platform to the young artists and congratulated them for making the event a memorable one. 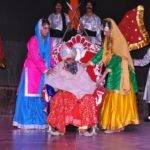 In the end , Chairman S. Karnail Singh Brar appreciated the effort put in by the students and the teachers .